This is a philosophical matter, not to mention a subjective one. Certainly a hole can have both aesthetic and strategic value, but how you answer will go far in determining your opinion of Cuscowilla on Lake Oconee in central Georgia. The Cuscowilla property is a mix of meadows and sections of an old pine nursery that slopes from higher ground on three sides toward nooks and inlets of Lake Oconee. When Bill Coore and Ben Crenshaw began walking the site it occurred to them that the best land for golf was primarily on the higher, inland sections of the site and not along the low shoreline of the lake. 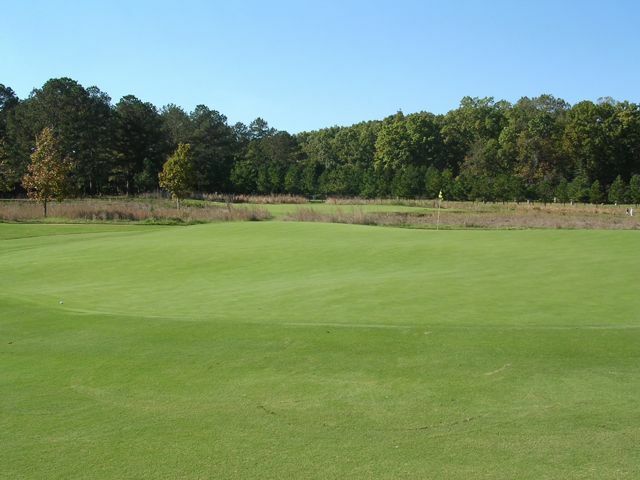 Most developers would push the golf away from the water in favor of homesites. Most architects would fight for more lakefront holes. 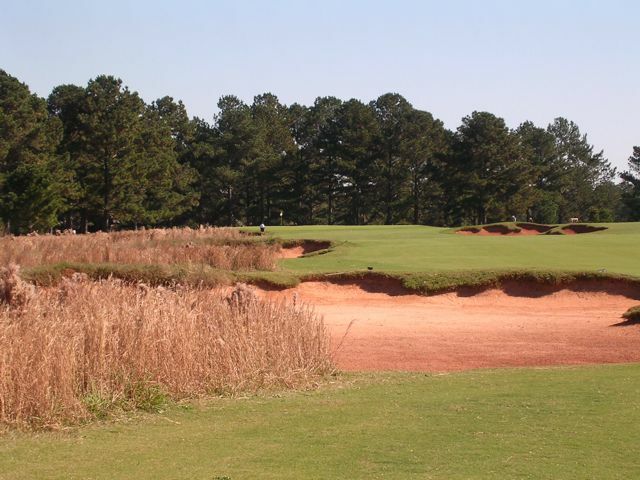 Most architects don’t build holes and courses the way Coore and Crenshaw do. That’s the story of Cuscowilla. That was even truer in 1997. The architects has just returned from the Sand Hills site where they mastered the art of reading the land and building the most natural holes a property could afford. Cuscowilla was nowhere near as endowed as what they’d just been immersed in, but the drive to build with minimum alteration to the land led them inexorably away from the water and into the more rolling, nuanced upper terrain. From the huge central sand cavern at the short par-4 5th that divides the upper and lower fairways. That contrast draws out distinctions about the role of water and what makes holes inspiring. One architectural team saw it as central and did everything it could to get down to the shore — in fact eight of Great Waters’ lake holes are on the inward nine — while the other did everything it could to get away from it. How you respond to that also says a lot about what you value in a golf course (in fairness, Great Waters’ inland territory is not as gracious to golf as Cuscowilla’s). 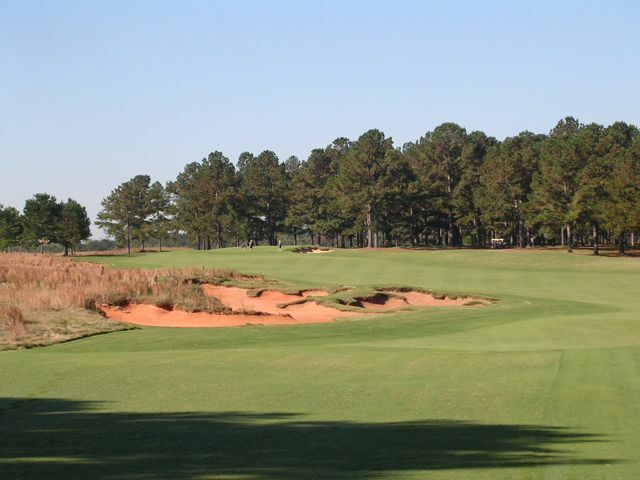 Cuscowilla’s opening six holes are, in my opinion, as good as any in the southeast. 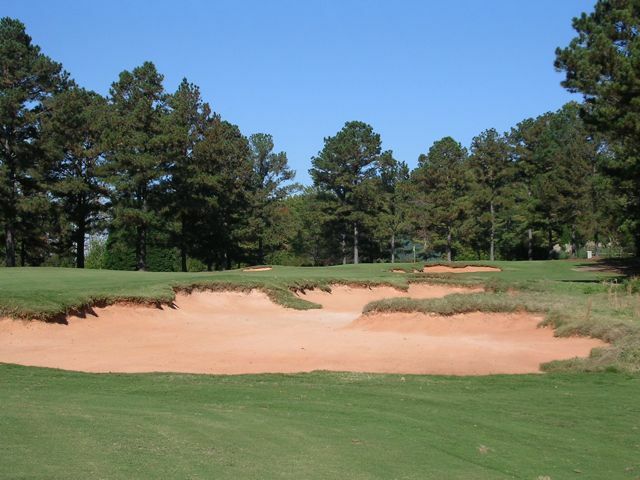 The tempo and variety is perfect, with open holes like the 1st presenting an arc of lines off the tee that measure your real time courage level, segueing to a tighter par-5 where trees and several well-placed bunkers encourage you to shape shots left and right. There’s a daunting pair of holes with tee shots across ponds, an unforgettable drivable par-4 with alternate fairways, and a 465-yard monster trudging across a breezy meadow. The second great run begins at the par-4 15th, a hole that starts in a sheltered blind then prods upward into an enclosed meadow that serves as the arena for the final four holes. It’s green is the most interesting on the course, with swales and swells bubbling through it, and when standing there you’re at the center of a magnificent 360-degree golf gallery that includes panoramas of the par-3 16th and par-4 17th as well as portions of the right-to-left 485-yard closer. 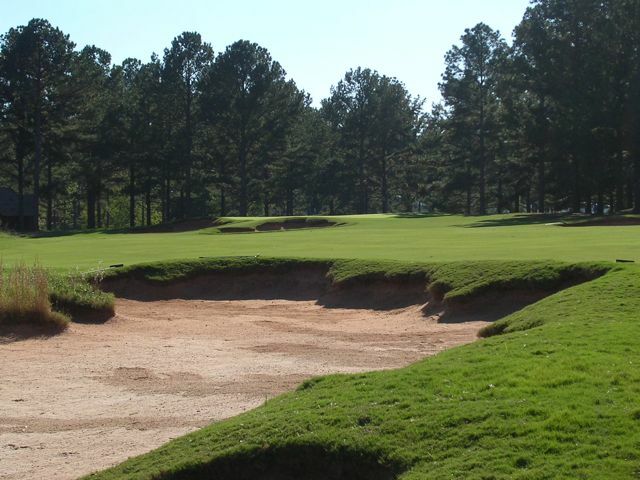 Cuscowilla passes all the noble Coore and Crenshaw tests: it’s got width, multiplicity, sublimity, an instinctive communion with the site and the ground, low and natural appearing putting surfaces and fearsome bunkering. If there’s any weakness, it’s the property itself — while good enough to inspire holes like 1-6 and 15-18, it’s also responsible for holes like 10 and 11 (a Cape-style par-4 and pitch-shot par-3 along the lake, though often cited as players’ favorites), 13, and particularly 14, a rather bizarre and extreme uphill par-5 with a tortuously sloped green.